Increasing oral fluency is tough work! | Ici on parle français! 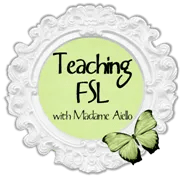 I’m trying really hard to give students the tools that they need in order to be proficient in French. I scaffold all my grammar points and I give them multiple and varied opportunities to see and use the grammar point. Then I hear them speak or read their writing… It’s as if I hadn’t mentioned the structure in question at all. For example, I taught “L’ordre des pronoms” in my grade 9 Immersion class and I don’t think that I could have scaffolded it any more than I did. I took each and every pronoun and explained its use, we practiced replacing them and putting them in the proper place in the sentence. As I introduced more and more pronouns, we began replacing two at a time until we had finished them all. Then I hear my students say: “Je n’aime pas le!” AAH! Generally speaking, I don’t like being the grammar police, but I had to say something. Now, I have to admit, many of my students have incorporated what I’ve taught them into their writing and it’s really exciting to see. So how do I get to those few who are still stuck in their old ways? I was doing some reading about fossilized errors and came across this article. It states that if the student is aware of the error and they understand the grammar point, then correction is needed each time they make the error. So I can be the grammar police! Yay! I’m working on the subjunctive now, so hopefully I can incorporate enough oral activities to help them use it properly. 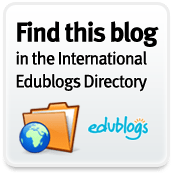 This entry was posted in Education, French, High School, Teaching, Uncategorized and tagged French immersion, Grammar in context, Language learning theory, Useful resources. Bookmark the permalink. 1 Response to Increasing oral fluency is tough work! This unique post, “Increasing oral fluency is tough work! | Ici on parle français!” reveals the fact that you truly fully understand what you are speaking about!